Barely there. 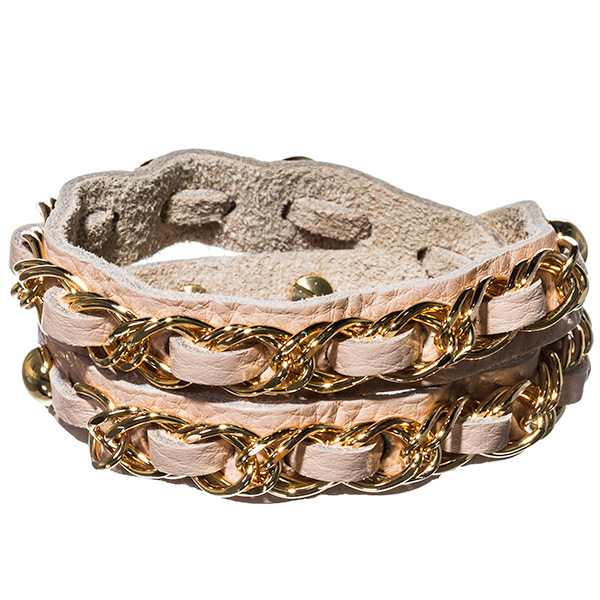 The Natalie is a wrap-around leather cuff complemented by a weave of gold chain, and finished with press-studs. Go au naturel by pairing it with beige monochromatic styling. We hope you enjoy shopping for online jewellery here with us today.